While it is all very exciting to travel Tibet, the land of snows & the roof of the world, one can never be too careful with money spending in a foreign land where you don’t speak the local tongue. As one would expect that the norms of day-to-day life in Tibet varies drastically from where you are from and what you are used to. Whether it be paying for a merchandise or ordering food at a restaurant, navigating these differences can be challenging! While many of these challenges lead to fun adventures, when it comes to accessing or using money no one wants trouble. Tibet Travel Expert, a local travel agency, shares some Tibet money tips for avoiding money related hassles in Tibet. 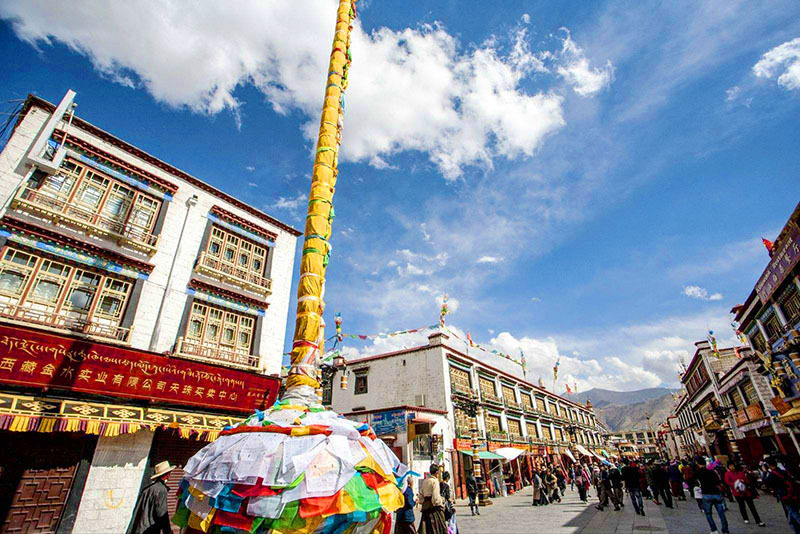 Travelers should expect to make nearly all of your purchases in cash of RMB while travelling in Tibet. With the exception of a few high-end hotels, credit/debit cards are not accepted anywhere. However, the Bank of China, in Lhasa, can process cash advances from many major credit cards. Reliable ATMs are available in a variety of locations of Lhasa; travelers have reported successful using of ATMs of Bank of China and International Construction Bank of China. Not all banks process international ATM transactions. To avoid problems accessing funds it’s best to withdraw enough cash in your transit city of China before entering Tibet. The local currency is the Chinese Yuan (RMB). If you arrive from Mainland China, it is easy to get Chinese Yuan in the local banks and atms. For travelers arriving from Nepal, currency exchange services are available at a variety of locations although banks usually offer the best exchange rates. Trouble when trying to access or use money can be a nightmare, keeping in mind Tibet Travel Expert Service’s tips for avoiding money related hassles can go a long way in preventing unnecessary frustration. ATMs are available in Lhasa city. However, you won’t be able to use your international credit cards in most places. In short, it is better to exchange money at banks before or after you arrive in Tibet. Many challenges adjusting to day-to-day life in a new place lead to the discovery of charming cultural differences. Most travelers would agree that accessing or using money is usually not one of those challenges. For specific Tibet travel related questions travelers are welcome to contact us via email, [email protected], to find out more about Tibet travel tips of avoiding money hassles.